Harry Potter fans better start clearing some room off their desks: A new miniature Quidditch set is hitting the shelves later this month. The set includes a Quaffle, two Bludgers, and, of course, a Snitch. 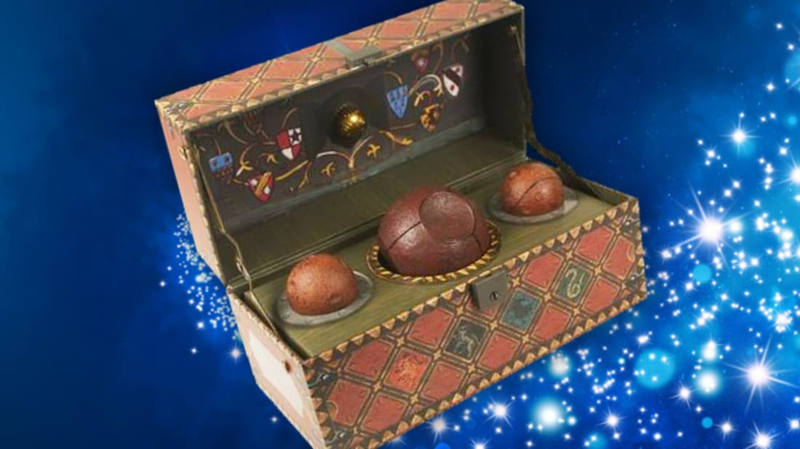 You can take out the Quaffle and Bludgers, but the Snitch stays firmly inside the box—probably for the best, since Harry isn't around to retrieve it. The pieces are housed in a beautiful decorative box that comes with a lock and key and a 16-by-24-inch collectible poster. The set will certainly look nice next to all your other Potter paraphernalia (make sure you pick up a copy of Quidditch Through the Ages, too). It goes on sale March 22, but you can pre-order one on Amazon right now.